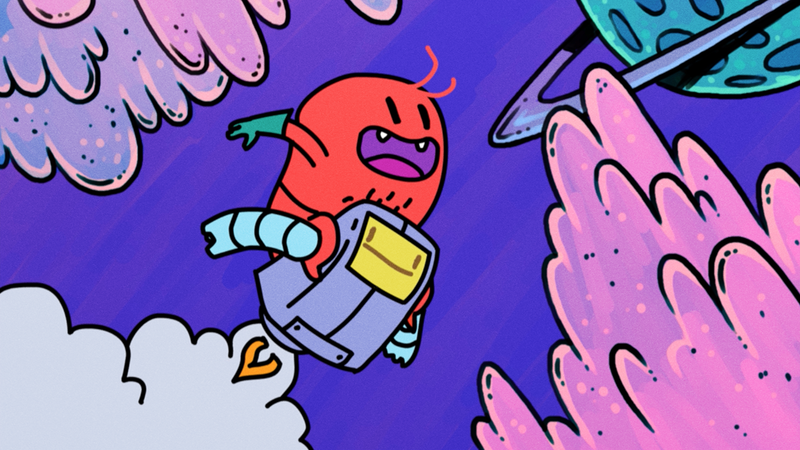 Experience the year’s best animated short films at the incomparable Animation Block Party! Rooftop Films is proud to co‐present the opening night of Animation Block Party. Dedicated to exhibiting all genres of the world’s best animation by independent, professional and student animators and filmmakers, Animation Block Party is one of the country’s premier animation festivals. Teenage animals rock out in a battle of the bands. A young woman comes back home. She gets undressed, puts on her swimsuit, and sinks into the underwater depths of her apartment. A horned creature's cycle of abuse is halted by a stubborn foe. A frantically paced music video. This landmark musical collaboration inspires a visual pop travesty with hypnotic, kaleidoscopic images. A portrait of the exotic bird-trade industry. The world renowned wizard Sloof, whose wondrous workshop sits above his magical department store, deals with insane customers, thieving competitors, and intergalactic threats on a daily basis. Jonas and the Sea is an animated short film about a man who casts aside everything in pursuit of his dream. A dream we all share: the quest to find a place we can call home, even if it's underwater. A 90 second short about a girl who takes a trip to the dentist expecting to get her cavity fixed but ends up with a weird surprise. Oscar and his best friend Hedgehog just got dropped off at Summer Camp. Once all the parents leave the island, all of the strangeness lurking beneath the surface starts to come out. Aliens exist, horses become unicorns and there are monsters under the bed. The Gorillaville gang can't have dessert until everyone cleans their plate. The Muckers is an Iranian underground rock band. They have been under lots of different influences, from electro clash to math rock but now they have their own style, which is a psychedelic / Garage sound.